If you have ever taken time to just sit on the beach, in a park or at the bay you will notice that things come and go. These things include people, children, birds, cars, waves, boats, ships and the sun. It should remind us that our life has so many parallels to the song that was on the top of the billboard charts 50 years ago this week of April 1, 1968. Do The Lyrics Ring True To You? 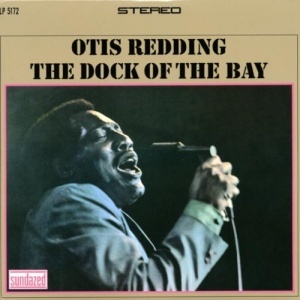 The song “(Sittin’ On) The Dock of the Bay ” by Otis Redding speaks volumes about the circle of life. Mr. Redding starts with a look at the circle of day and night; the sun comes up in the morning and goes down in the evening. He then sings about the circle of ships. I can imagine the ships coming in to refeul or pick up and drop off supplies. It is another cycle. The next verse leads me to believe that there was a longing to be like the tide, to be able to move forward against all obstacles. I can imagine that there are times when we question how much progress we are making and if certain seasons in our life are just a waste of time; if we are just going around in circles. All of us if we look back over our life can likely relate to a time when the lyrics below rang true. We were searching for something; a change, a new beginning; the purpose of life. The best thing about this song is everything in our life is a circle and all seasons have an ending. Things do change and so much of how we see the change is a matter of our perspective. Throughout the song, the writer references wasting time, but I would venture to say that we are not wasting time, we are just finding our way. So as you listen to lyrics of this song that made the billboard charts 50 years ago this week, reflect on a time you felt stuck in a rut and how you over came that rut. It may be the motivation you need to keep moving forward or help someone else keep it moving. We must learn to Stop and Enjoy the music! Next story Turning 50 – Where Did Your $1 – 2 Million Dollars Go?